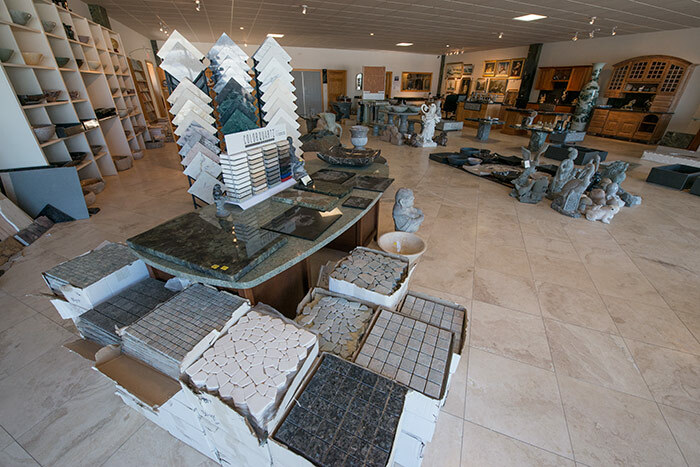 Our 3,000 square foot showroom features a large selection of granite and marble tile, counters, desks and sinks. 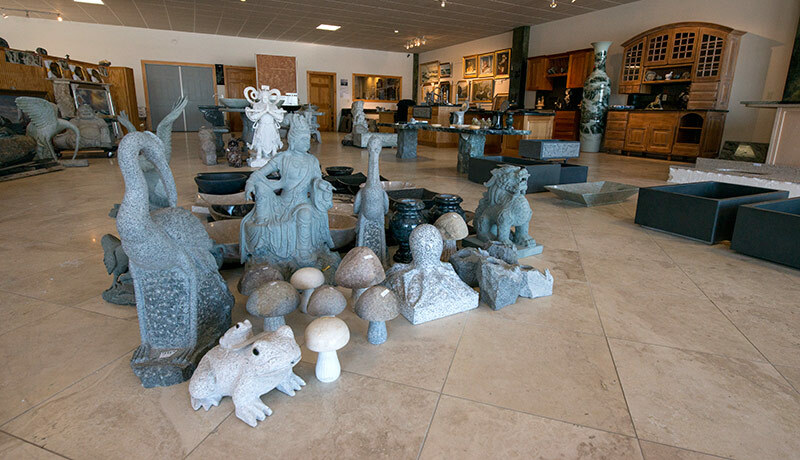 We also have hundreds of slabs in our yard so you can pick the exact stone that is right for you. 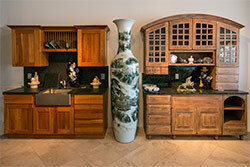 We also have cabinets, wood flooring, rugs, benches, tables, vases and sculpture. 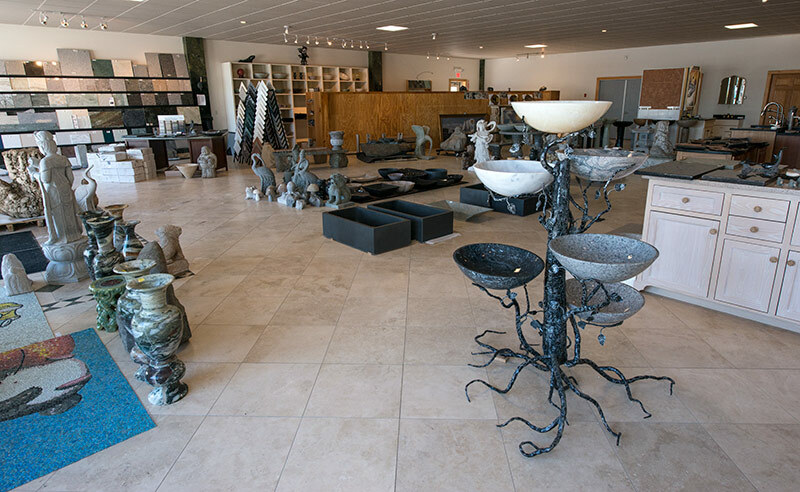 Located at 8 Industrial Way in the Trenton Business Park across from the airport, our design and sales team are available to help you with your kitchen, bath, office, and outdoor stone needs. 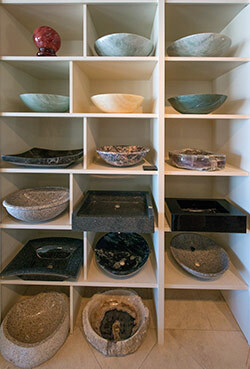 Since the dawn of time, the moulding of natural stone into things of beauty and utility has been a treasured craft. Our craftspeople dedicate themselves to every detail, to ensure your new stone piece is the perfect fit for your new or existing cabinetry. 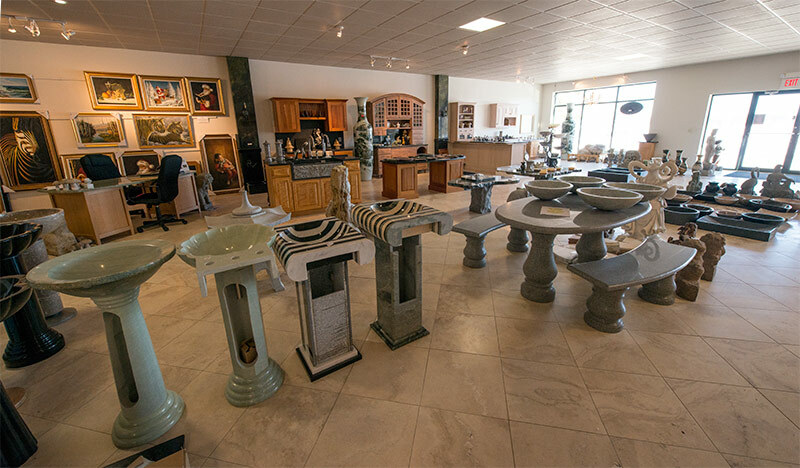 We have a huge selection of stone sinks, tiles, flooring, and decorative pieces. 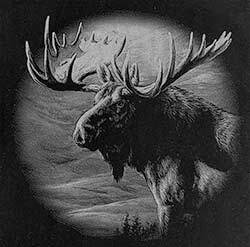 Come visit us in the town of Trenton, Maine. We are just off Bangor Rd/Hwy 1A, on Industrial Way. 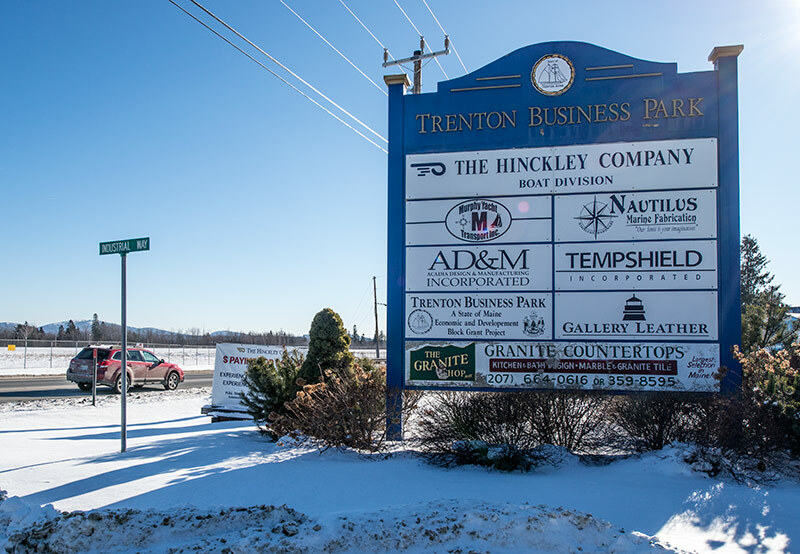 Look for the Trenton Business Park sign (shown below heading north on Bangor Rd/Hwy 1A). 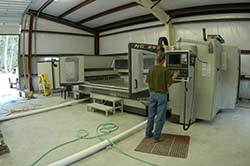 With our Vytek Laser System, we can etch your drawing, logo, or photograph into stone.